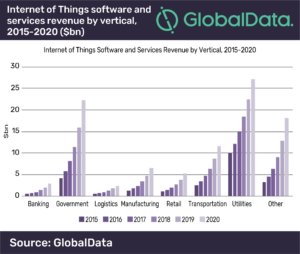 Ambient commerce is an important use case for the Internet of Things (IoT) and promises to be a game changing retail technology, according to GlobalData, a leading data and analytics company. According to the latest report from GlobalData’s Thematic Research Team, ‘Ambient Commerce’ – which combines technology with the physical space associated with retail stores – will offer consumers a whole new way to shop. Ambient commerce is the way that Generation Z – a cohort of 2.3 billion ‘digital natives’ who were born after 1995 – will increasingly choose to buy things. Thomas concludes: “We can expect many more strategic alliances and M&A deals as old-world companies seek to join the new ambient world, and the insurgents broaden their bases and round out their tech infrastructures”.